Dissatisfied with her job at a nursing home, Caroline Ellis starts looking for something more fulfilling. Eventually, she is hired by Violet Devereaux to care for her ailing husband Benjamin at their isolated southern Louisiana plantation. Right off the bat, Violet starts hinting at supernatural activities. Professing not to believe in such superstitions, Caroline nevertheless begins experiencing strange happenings in the house. 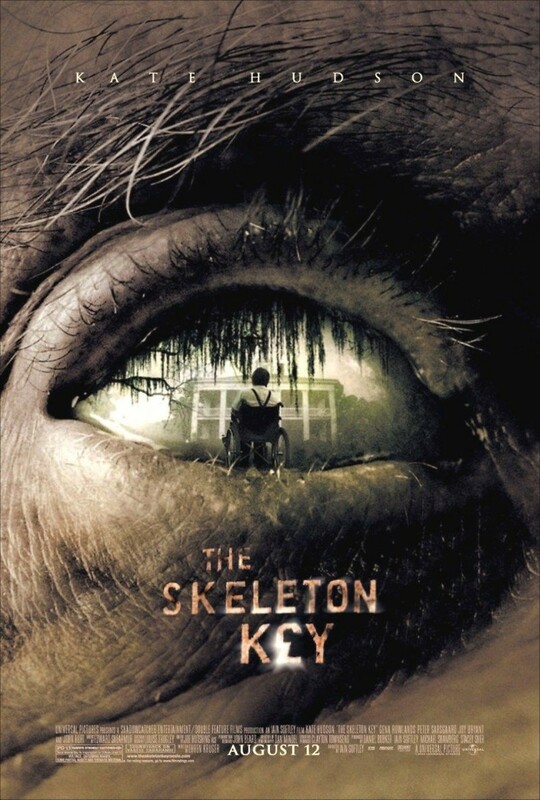 Using the skeleton key she receives from Violet, she finds secret rooms testifying to the plantation's dark and troubled past involving bewitched children, Hoodoo practitioners, and death. Soon Caroline gets in over her head and scrambles to escape the terrifying house before it's too late.